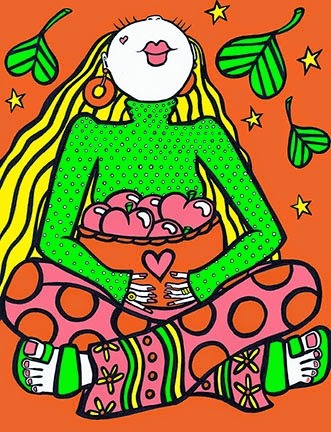 KiCKASS WiTCH : Putting The "K" In Magick: THE SEASON OF PUMPKiN EVERYTHiNG!!! THE SEASON OF PUMPKiN EVERYTHiNG!!! 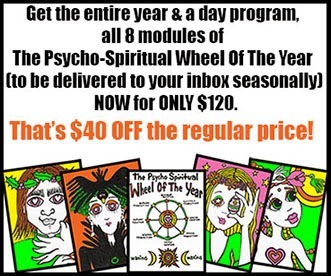 The Autumn Equinox module of The Psycho-Spiritual Wheel Of The Year is here! the participants in the Psycho-Spiritual Wheel Of The Year. Hey Joanna! I just listened to your latest podcast and it's so nice to know I'm not the only witch who loves fashion! Project Runway is one of my favorite shows (I miss Michael Kors)--I've watched every season. I also collect costume bracelets. I have MANY very colorful beaded bracelets. I think designer clothes fit and look better. I have several clothings by designers but I get them mostly from thrift stores. I got my Cynthia Rowley umbrella from Amazon at a great deal. The umbrella is so unique and different..I've never seen another like it on the streets--another thing I like about designer things...who wants to look and have things everyone else has? So yeah, I know what you mean about fashion. I LOVE the outdoors, nature (which is why I want to move much closer to the country to get in more green life), lying on grass, I adore camping and other nature stuff but still I love material pretty stuff and shopping like most women I guess.